In November 1914, Belgian Refugees in Tunbridge Wells decided to form a club. They were able to use premises at 32 Calverley Road which belonged to the Constitutional Club, on the first and second floor where Waterstones and Hotter are now. The President of the Constitutional Club was Colonel H H Spender. 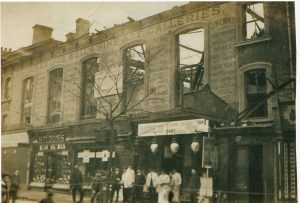 In 1913, the premises had been gutted by a fire, which had started in the Art Gallery upstairs. When it reopened on 1 April 1914, there were rooms for billiards, cards, reading, a lounge and a Committee area. 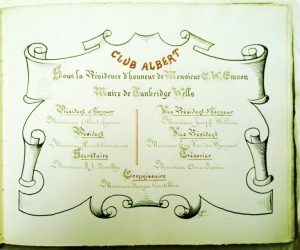 The Belgians’ club was named Club Albert, after King Albert of Belgium. 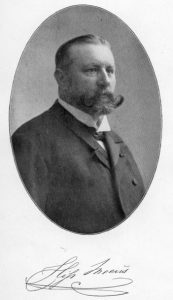 A Committee was formed on 9 November, led by M. Ernst Kumps, who identified himself on his registration form as an ‘Agent de Police’ and was the Club’s first President. He and his family lived at 40 Upper Grosvenor Road, and returned to France in 1916 to join the army. The joint Honorary Presidents were Mayor Whitbourn Emson and Hippolyte Meeus (Mayor of Wynegem near Antwerp and owner of a large ‘Jenever’ distillery, the Stokerij Meeus). 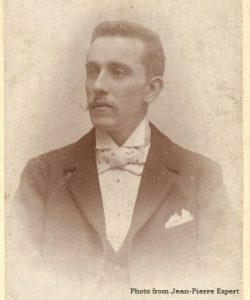 M. Meeus died in Tunbridge Wells in October 1915, only a few months after his wife Isabelle; both he and his wife were embalmed and returned to Wynegem after the war. The Club was established in December 1914 and opened each day from 3pm – 4pm. All Belgians in the Tunbridge Wells area were invited to belong. Its aim was to be a central meeting point, to arrange social functions and entertainment, to inform the Refugee Committee of unmet needs, and to channel important information to members. In addition, discounts were available in certain shops. On the ground floor of the building was the Kosmos Kinema. By November 1915, all Club members were admitted free to the cinema between 3 – 5pm, twice a week, on presentation of their membership card. One of the first social events was held for “The Kings Day” on 15 November 1914. Canon Keatinge preached, and a Mass was sung with a choir of Belgian refugees, conducted by M. Denyn. The refugees then marched to their home in Upper Grosvenor Road, and later gathered at Club Albert. A day or so later a Grand Concert took place at the Pump Room on the Pantiles, attended by 600 people, nearly all Belgians. The performance was in French with local artistes. The Allies’ National Anthems were played, then coffee and refreshments were served. On 22 May 1915 a fete took place at Club Albert, and in June, members and Belgian soldiers in Tunbridge Wells expressed their gratitude for shoes and clothes donated by the London Committee. In December, M. Kumps alongside Club Albert Committee members organised a house-to-house collection, raising £36. Further events were arranged to celebrate the King’s birthday and a concert took place in January 1916, when M. Florent Coosemans became the new President as M Kumps had left to join the Belgian Army. In July 1916 the Club Albert presented a souvenir album to the Mayoress and the Misses Scott, as well as the other lady committee members, recording members’ heartfelt gratitude for the generosity and kindness of the people of Tunbridge Wells towards Belgian refugees. The album contained poems, paintings, pieces of music, messages and writings. It contained the names and addresses of around 170 refugees, and has proved a valuable resource for further research. Thanks must go to Alison Sandford Mackenzie for her transcription. It is unclear whether Club Albert continued operating much beyond 1917. By Spring 1919 practically all Belgian refugees had returned home. This entry was posted in Reflections, Research notes and tagged Alfred Lacourt, Armand Van Noyen, Auguste Van Obbergen, Burlyon, Calverley Road, Constitutional Club, Ernst Kumps, Eugene Van Den Wijngaerts, H H Spender, Josef Denyn, Joseph Willems, Kings Day, Kosmos Kinema, Mayor Charles Emson, Mayor Hippolyte Meeus, Pantiles, Pierlot, Pump Room, Raes, souvenir album, Van Loven, Wynegem. Bookmark the permalink.